The competition is in PC market is so strong that the OEM (Original Equipment Manufacturer) or the total solution integrator tends to switch from one chip maker to another from time to time. Just recently, the OLPC (One Laptop Per Child) project announced that its Gen 1.5 will migrate to VIA Technologies’ platform solution, replacing existing solution using AMD Geode that has been used since its first launch few years back. 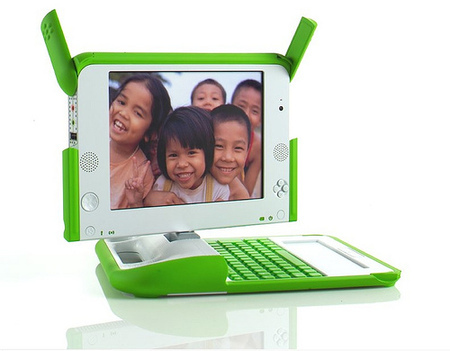 OLPC is a non-profitable organization that helps to coordinate the whole design and manufacturing of the low end laptops targeted for poor children in emerging market. Similarly to current AMD’s Geode microprocessor running at 433MHz, the new replacement intends to use VIA C7-M clocking between 400MHz to 1GHz depending on the applications and heat requirement. Besides, the processor will be coupled with a new chipset that is claimed to be able to handle 3D video acceleration and HD (High Definition) graphics decode capability without complicating the whole system design. Surprisingly, it is believed that the new solution consumes less power while able to offer greater feature sets at much cheaper cost. Some features include the 1GB RAM and 4GB storage capacity (or optionally upgrade to 8GB) as well as Wi-Fi capability and LCD display with better brightness and clarity. No further information on pricing and availability yet, the first prototype will be available by second half of this year.